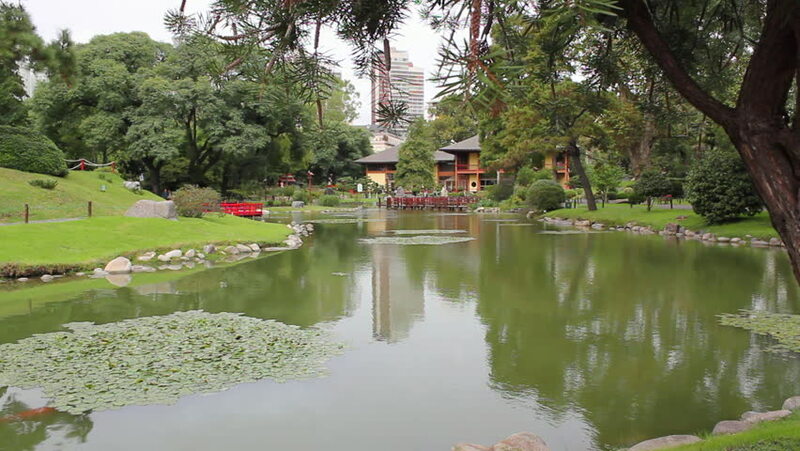 Japanese Garden, Buenos Aires, Argentina. hd00:30LJUBLJANA, SLOVENIA - 28. AUGUST 2017 The river is very peaceful and sunshine is glistening on the surface. There are stairs on the river bank. It's a nice summer day.